Food For Thought teaches students the importance of a varied diet rich in fresh fruits and vegetables. students are taught about the different food groups and creating balanced meals. 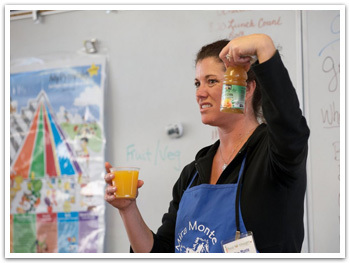 3rd graders receive three nutrition education lessons throughout the school year that focus on increasing awareness of the different food groups. 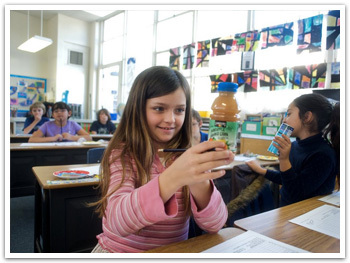 as well as providing hands-on experience buidling balanced meals and reading product labels.